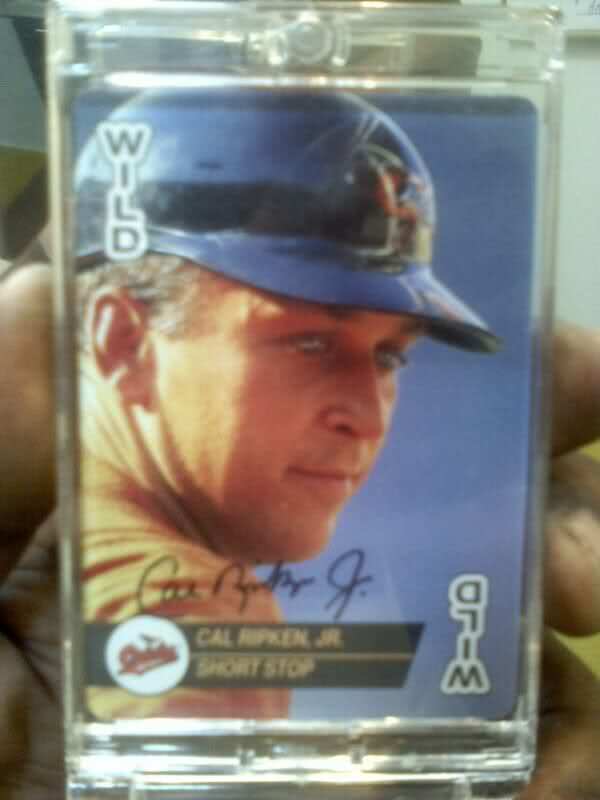 The authentic autographed card is the older version of his autograph with "Ripken" in full rather than the shortened version "Ri" you see on today's cards. 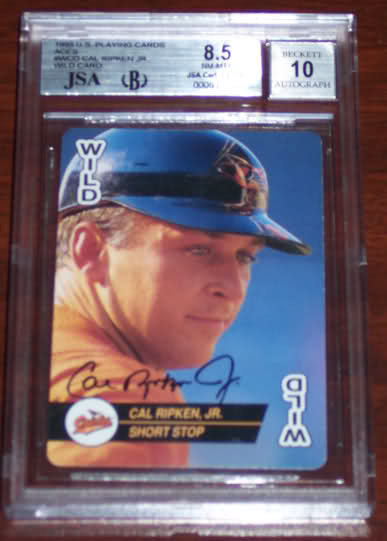 Also the "C" in "Cal" and the "J" in "Jr." are not nearly as pronounced on the authentic card as they are on the fake. 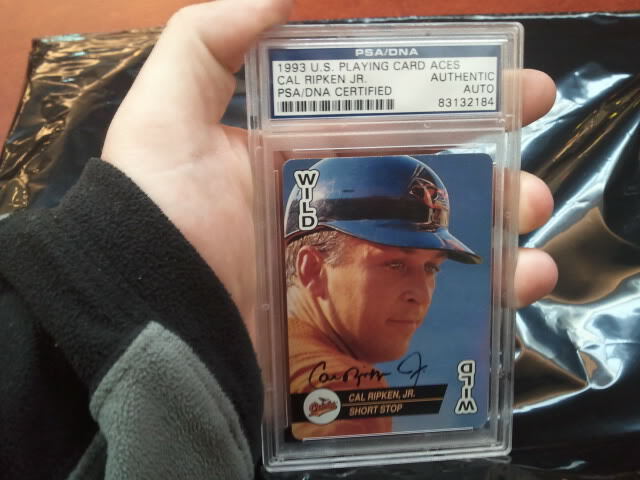 The photo cropping is different between a regular card and an autographed card. Essentially, the image has been moved further to the right on the authentic card, causing some of the design elements not to line up the same. This is most obvious when looking at the "W" in "WILD" and its placement relative to Cal's helmet. There is a small, maybe 1 centimeter long, vertical scratch running under the first "L" in BASEBALL and after the "s" in Aces on the back of the card. 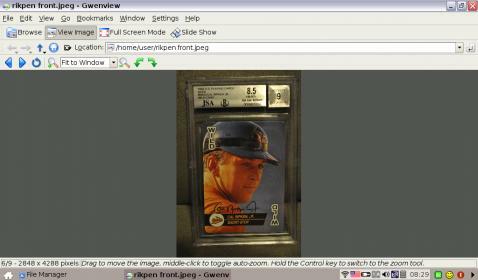 The following images show several examples of this card. Based on the signs listed above, can you pick out the fakes? The answer is at the bottom of the post. Answer: #1, #2, and #4 are authentic. #3 is a fake due to the cropping. The autograph also doesn't look the same as the others. The "C" and "J" are different than the other 3 cards shown.